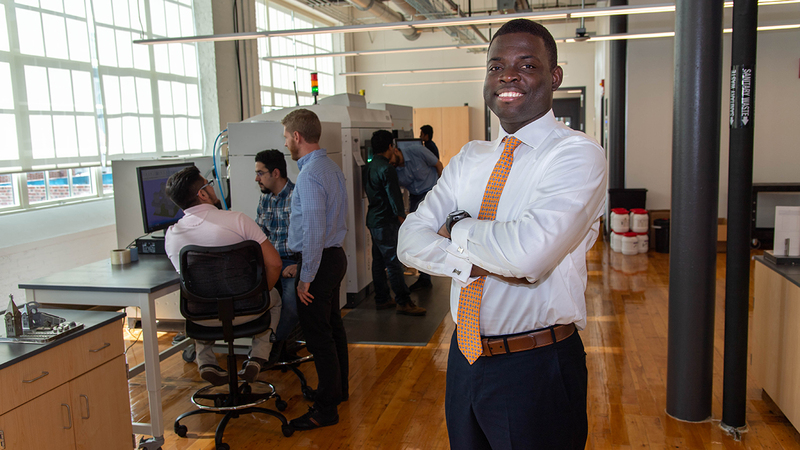 Emmanuel Winful is pictured in the Gavin Engineering Research Laboratory with researchers in the National Center for Additive Manufacturing Excellence. Growing up in a mining town in the West African nation of Ghana, Emmanuel Winful would often hear of miners returning from their pursuit of precious metals with injuries and even unexplained illnesses. He didn’t know it then, but unsafe mining practices and exposure to harmful chemicals in the mines were major factors for these maladies. In a culture steeped in spiritualism, many injuries and illnesses were often attributed to superstitious beliefs, such as being cursed or having bad juju. Despite these cultural attitudes, Winful was interested in the science behind these incidents and ways to prevent them. 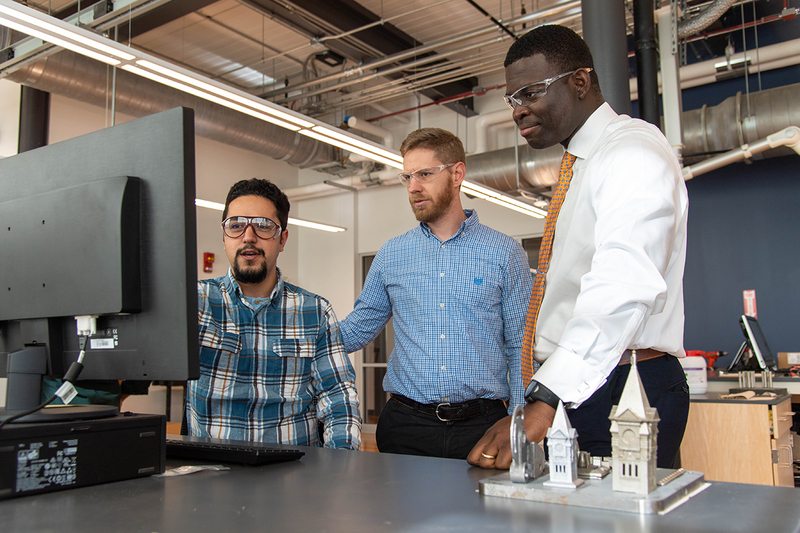 That formative experience sparked his interest in occupational safety, leading him down a path to become the first ever safety manager for Auburn University’s Samuel Ginn College of Engineering. Winful got his start in occupational safety while studying biochemistry at Ghana’s University of Cape Coast. During that time, he interned at an environmental lab analyzing chemical and water samples from Ghana’s farming communities. Winful moved to the United States in 2011 to continue his education and occupational safety career. After graduating from Georgia Southern University with a Master of Public Health degree in 2013, he held positions with Remetco Inc., Halliburton and the Florida Department of Environmental Protection working in occupational safety and environmental health. Winful comes to Auburn after serving two and a half years as occupational safety manager at Georgia Southern University. “One of my major goals at Auburn is to work alongside faculty, staff and students to ensure safety is a primary consideration in everything we do,” Winful said. One aspect of Winful’s work will be to safeguard against the types of incidents that have occurred at other research universities. Injuries and deaths have been reported recently at universities in California, Texas and Connecticut due to improper safety with chemicals and research equipment. 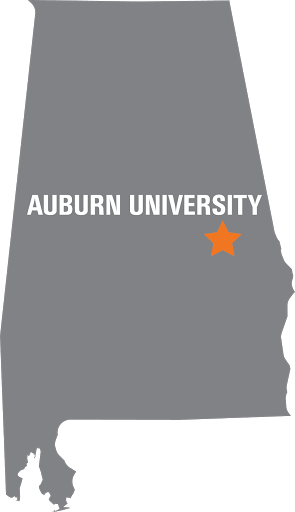 Winful will work in tandem with Auburn University Risk Management and Safety as well as Campus Safety and Security. He has also established an Engineering Safely Council to identify, review and implement programs to address safety, health, security and emergency preparedness issues.